Beach, Pier and Jetty Fishing The weather is perfect for fishing from the sugar white sandy beaches of Destin, Florida. 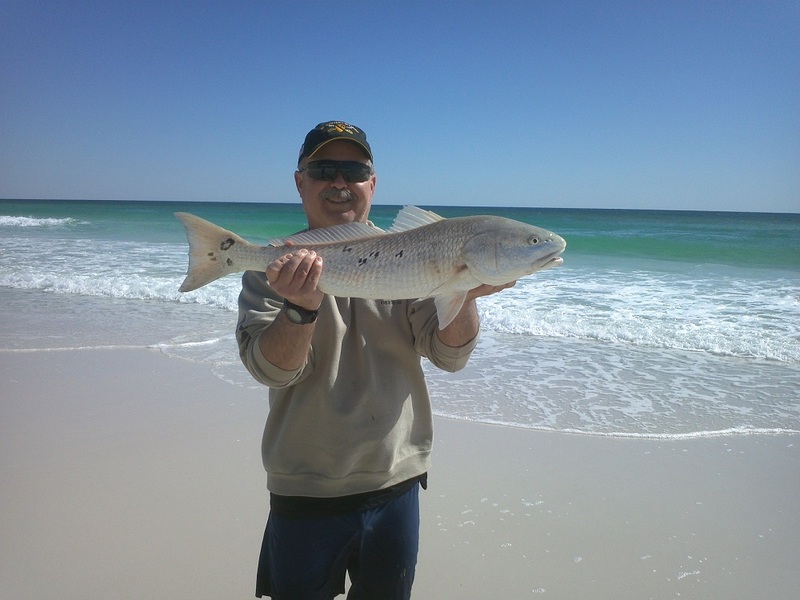 With frequent southeast winds and mild water temperatures Destin has the perfect weather conditions for winter and early spring surf fishing for many species of fish such as Redfish, Pompano, Sheepshead and Spanish Mackerel to name a few and is great fun for folks of all ages throughout the year. Cruising along the beaches for Cobia. Sight fishing with light tackle for Cobia with a jig or live eel off the beaches of The Emerald Coast is local anglers choice for spring time fishing fun and excitement. Deep Sea Fishing Several species are caught while fishing the bottom wrecks and reefs of the Gulf of Mexico. Grouper, Red Snapper, Trigger Fish are typical catches. King Mackerel, Tuna, Cobia and Sharks often show up too. 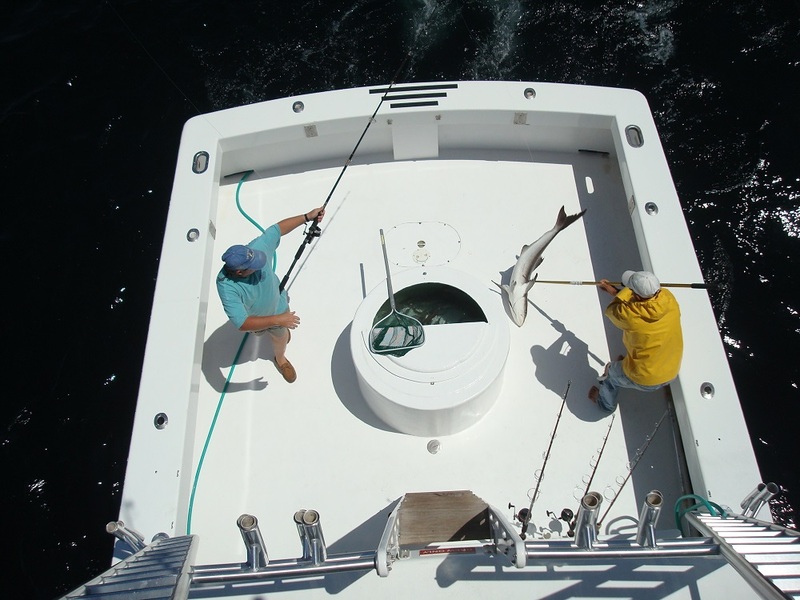 Destin has the largest fishing vessel fleet in the state of Florida. Anglers enjoy the close proximity to the “100 fathom curve,” or 600-foot depths. Just a few miles further you are fishing at the spur with depths of over 1,200 feet. Destin is the closest port on the Emerald Coast to these deep waters and prolific fisheries. This is where is big fish live. Harbor Docks in Destin will host the 2019 World Cobia Championships beginning March 29 2019 through May 6, 2019. Weigh-in 4:00 pm – 8:00 pm every day at Harbor Docks. See you at the docks! The Destin Fishing RodeoOctober’s weather in Destin is perfect and the fishing is spectacular! The Destin Fishing Rodeo is free to anglers who fish aboard vessels registered in the Destin Fishing Rodeo October 1st – 31st. Fishing not for you? Come see what all the excitement is about. The daily weigh-ins are FREE and open to the public each day 10 am to 7 pm on the docks of AJ’s Seafood & Oyster Bar.